Amazon announced their new Prime Book Box for Kids service a few months ago but it was an invitation only program at first. Now Prime Book Box is available to all Amazon Prime members in the United States. Prime Book Box is a subscription service that delivers a box of curated children’s books every 1-3 months. Each Prime Book Box costs $22.99, and Amazon says the price is up to 35% off the list price of the included books. Prime members can subscribe to receive a new box of books every one, two, or three months, depending on what you choose. 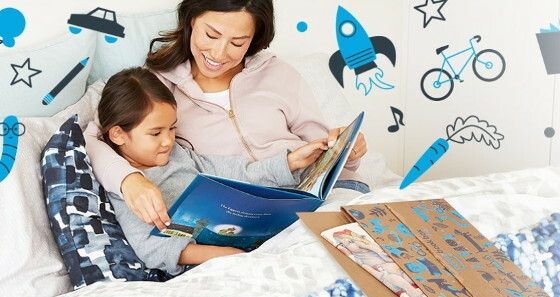 The boxes include hardcover children’s books and board books selected by Amazon’s editors; you can also elect to swap out the pre-selected books from a curated list of alternative titles. The selection of books depends on the age bracket that you choose. There are four age groups to choose from, 0-2 years, 3-5 years old, 6-8 years old, and ages 9-12. Each Prime Book Box comes with 2 hardcover books for ages 3-12, and 4 board books for kids 2 and younger. Check the Prime Book Box FAQ for more information.